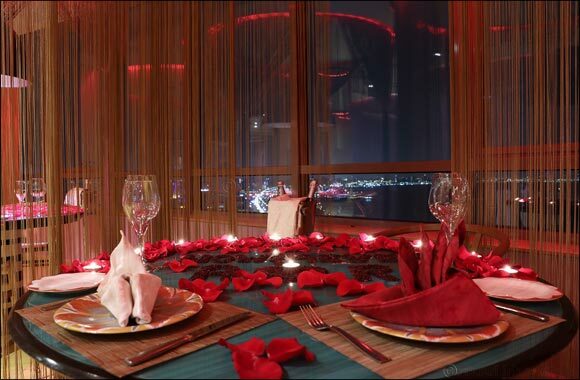 Valentine’s Day is all about spending it with the people you love the most, and you can not go wrong at the most romantic corners in the fanciest restaurants at Symphony Style Kuwait, A Radisson Collection Hotel. The hotel is offering its guests the perfect romantic staycation and culinary experiences and the best gift options, allowing you and your Valentine partner to live the moments of romance just the right way. The hotel’s award-winning Luna restaurant is offering the ultimate, loving prepared Valentine’s dinner, a set menu of Tuscan classics designed exclusively for this unique occasion, starting at KWD 100 per couple. An exceptional dining experience full of authentic Italian flavors and mastered by expert chefs while enjoying the distinctive sounds of live piano music created for the occasion for a more wonderful celebration. If you are aiming to celebrate love with a more extravagant dinner, Cucina restaurant is offering a very special PINK buffet, in a warm ambiance reflecting the romantic moments of the Valentine’s Day. The buffet is priced at KWD 50 per couple. In Chococafe & Garden, you can still mingle even if you’re single with a thoughtfully crafted a la carte menu with the alluring restaurant music in the background. For those looking to celebrating the Valentine’s Day with a simple yet perfect way, choose the hamper from Symphony Gourmet to be the ideal gift to your beloved. Including a chocolate box, non-alcoholic bubbly juice, red candle, macarons, and a small toy, priced at just KWD 25 per hamper.